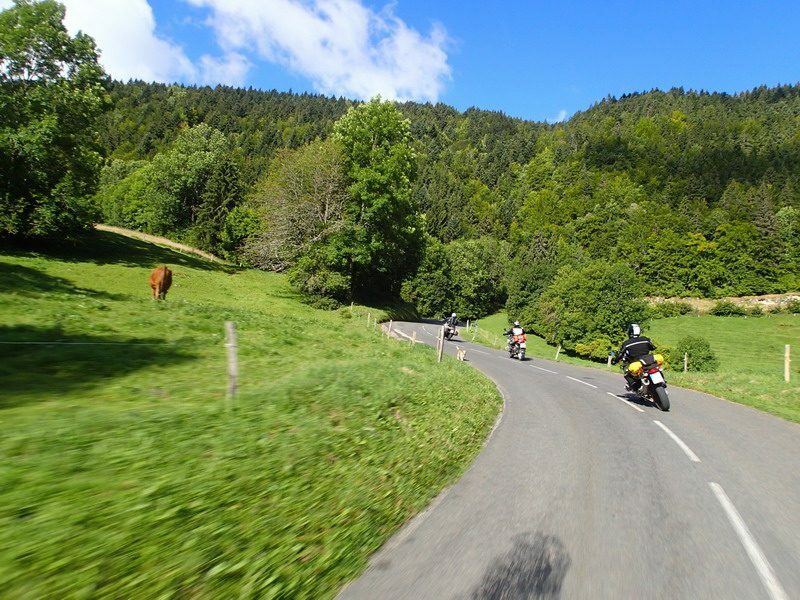 PASS_PARTOUT: ATTENTION VIRAGES – BEWARE OF CURVES! RoadbookTouren goes on-road. Admittedly, a gentle trip for tourists looks different. 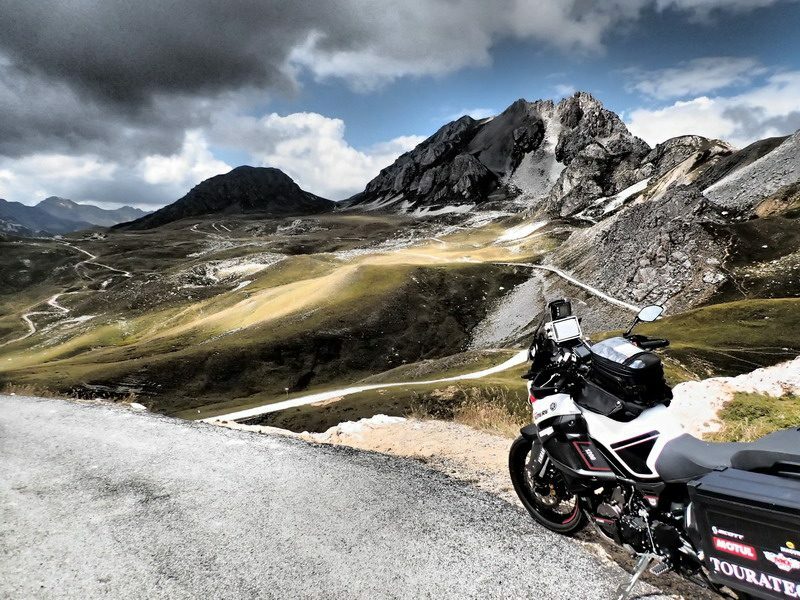 On the basis of the eminently exact elaboration of a former editor of the magazine MOTORRAD, the roadbook has become an absolute highlight for those who are curve addictes and passionate about mountain passes. 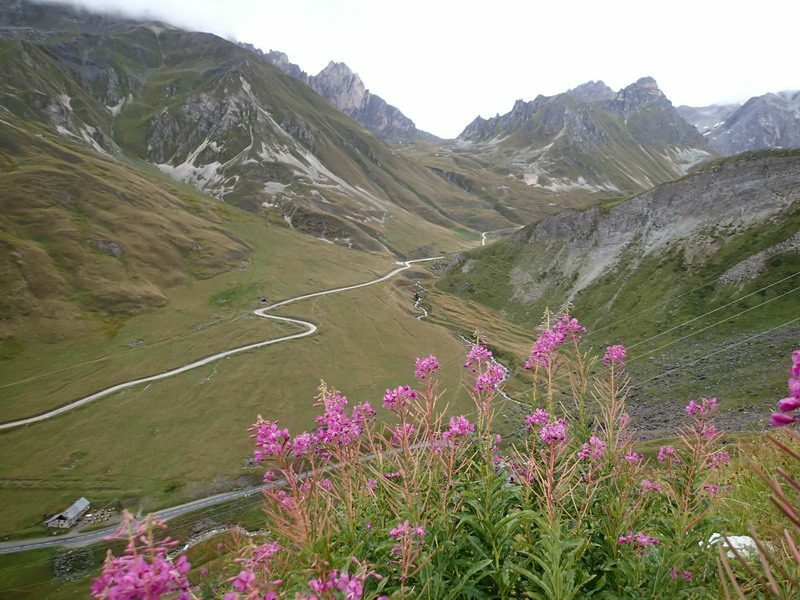 More than 100 alpine passes with an impressive overall 55,000 meters height will be taking place in six days. Culture lovers and excessive Capuccino friends are not quite correct in this offer, because the daily work easily reaches 8 hours of pure driving time. 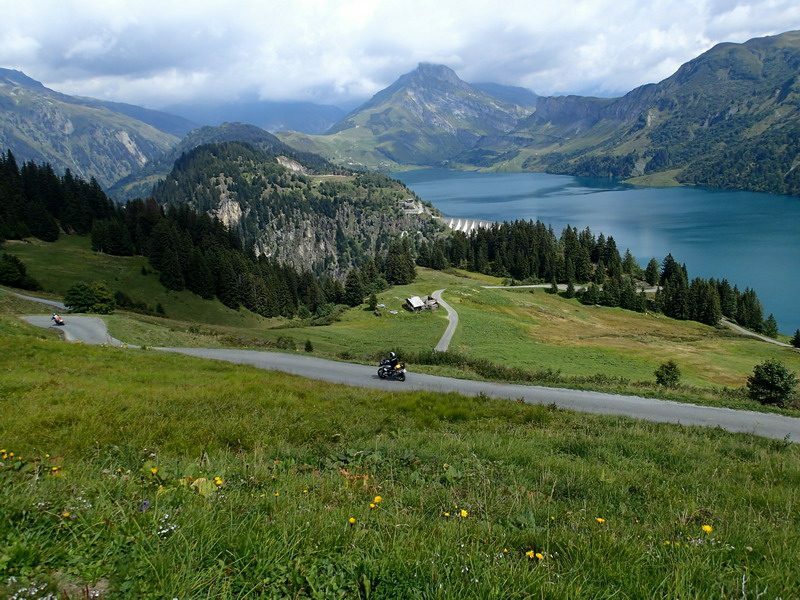 From the Swiss point of departure, near the lake of Geneva, we are moving slightly towards the south-west and then dive into the heights of the Western Alps. On small side roads we drive through unknown, deserted side valleys. Far from the alpine main routes we get our first pass heights and hardly find time to enjoy the vast nature. 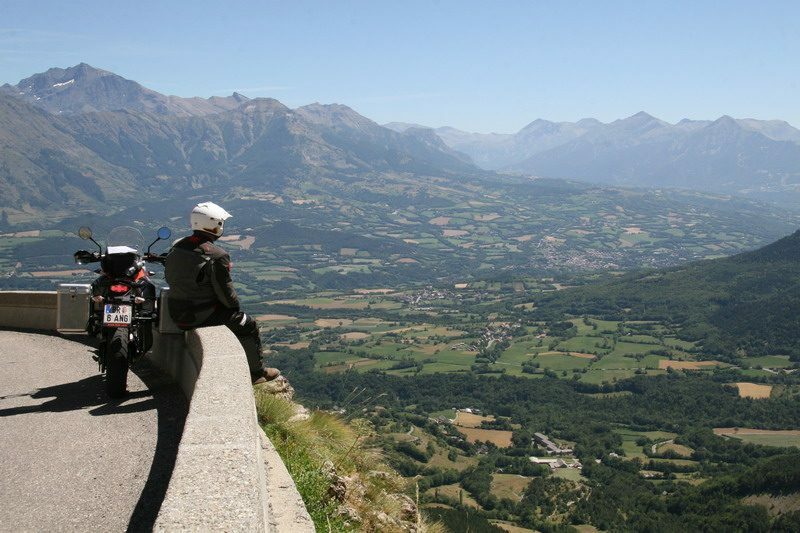 Is the Vercors a term for you? You will be impressed! 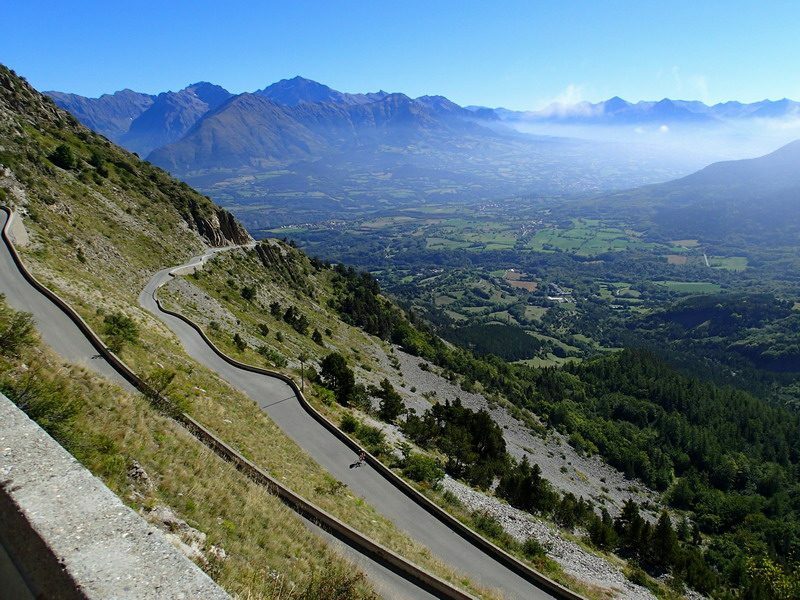 Provençal looking landscapes lead us up to the high alpine terrain, because in the second part of the tour we set our wheels on the classics like Col de la Bonette and Galibier in the high mountains. 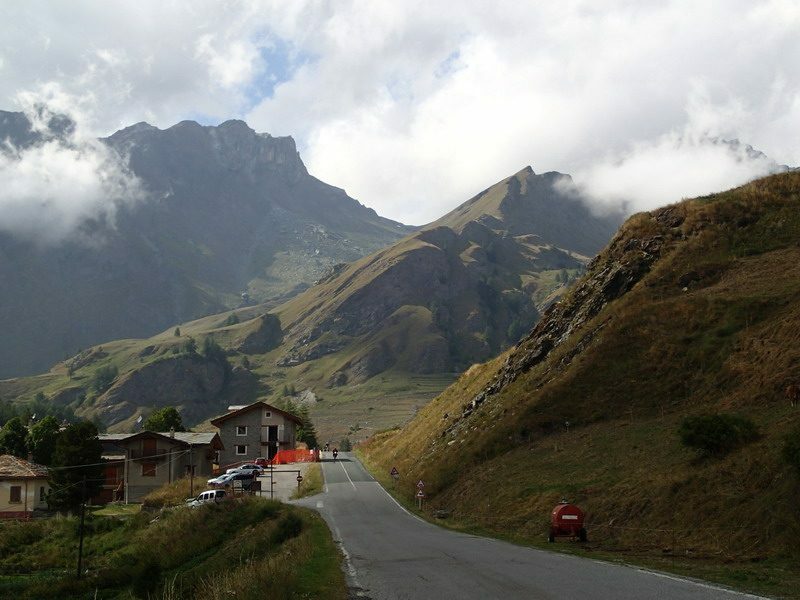 We moove mainly in the western Alps of France with a cappuccino trip to Italy before it drives us back to Switzerland with a round trip of the Mont Blanc. Individual arrival in the base hotel, a few basics about the Roadbook, dinner together. Ready for take-off: First curve Eldorado above Lake Geneva. In the evening there are fantastic views. To get ourselves into the right frame of mind today we drive a little bit more than 400 km. Heading west, we enter the Vercors and many forgotten valleys. A dream, how emptied and purged the streets are here – Motto of the day: insider tip! It becomes “southerly”. 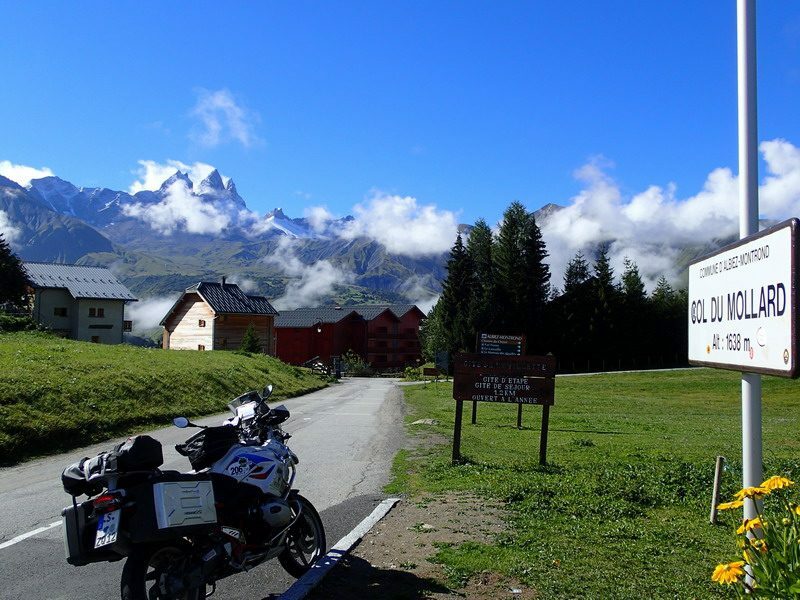 We marvel through the départements of Isère, Drôme, Hautes Alpes and Alpes de Provence, and we refer to our hotel in the Mercantour National Park. Today we access great highs. 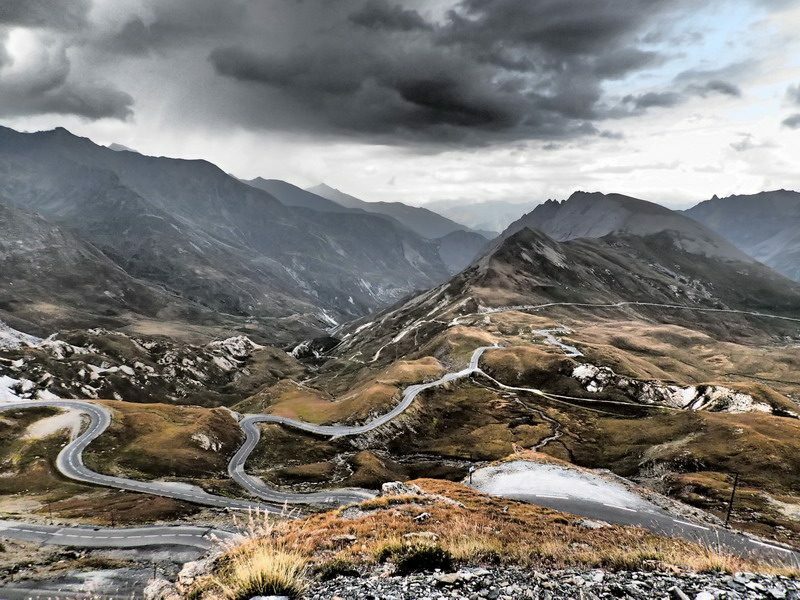 Classics like Col de la Bonette, Col de la Cayolle and Col des Champs are to be defeated. The exhausted could have, if necessary, a rest day, because we do not change the hotel today. 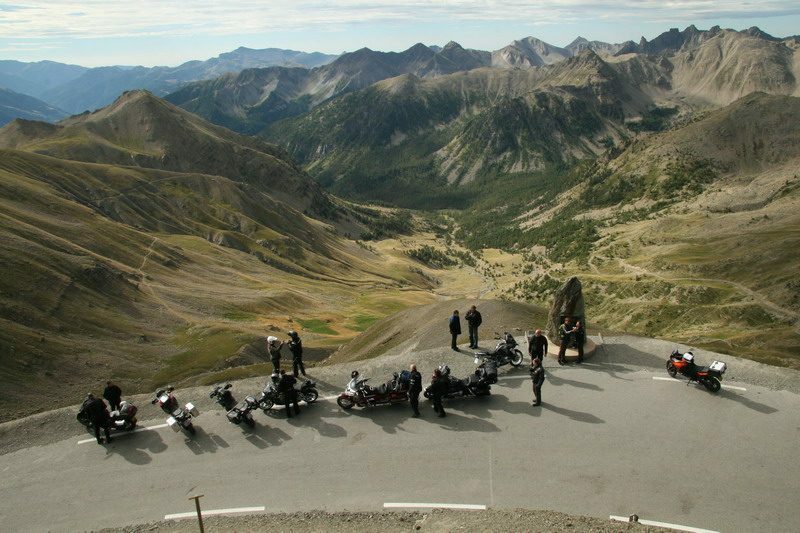 Now for a short trip to Italy to take a look at the Sturatal valley, then briefly across Izoard, Galibier, Lautaret – and a few more. After our last (usually somewhat longer) night, there is once again a delicious breakfast. Then we go home. 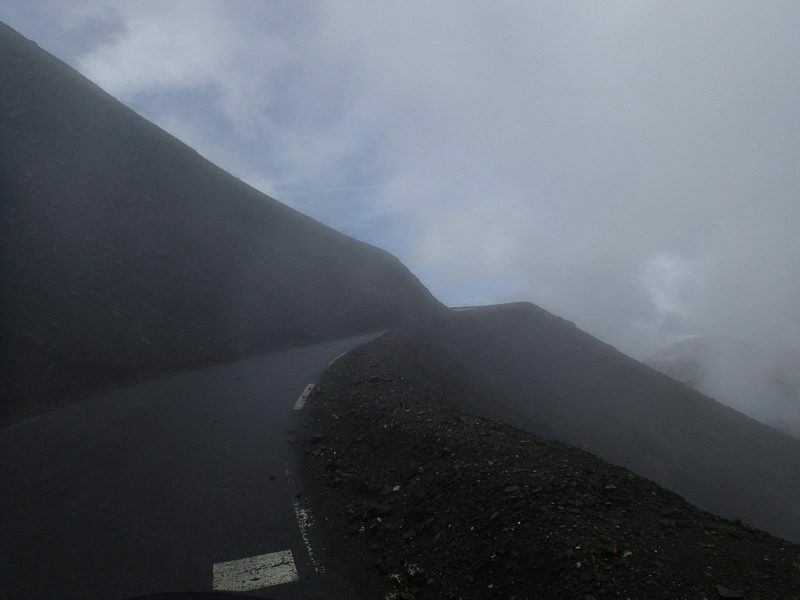 Approximately 2.400 kilometers, including 8 kilometers off-road, day stages 270 – 460 kilometers. The stages of this tour do not involve extreme driving difficulties. 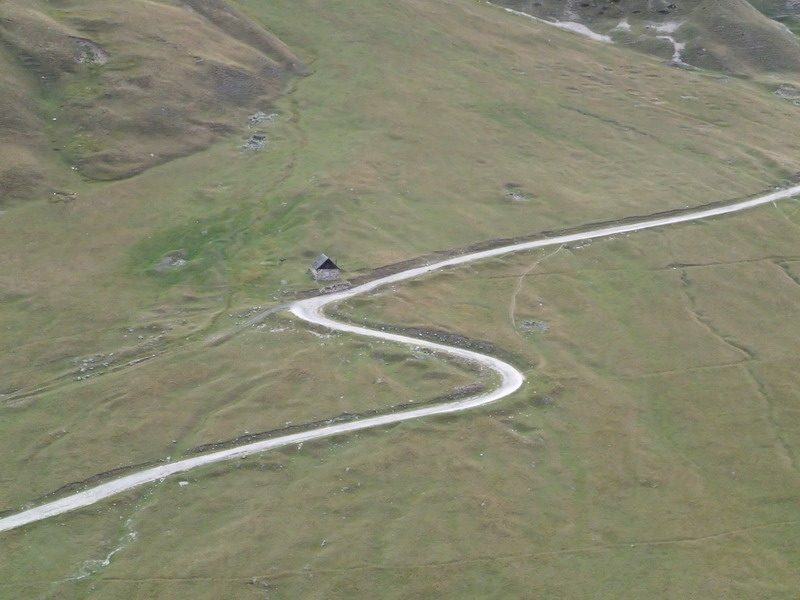 However, in the Alps, in particular on the higher passes, you have to take into account modified conditions, e.g. gravel, potholes, cowpats, fog and cold. 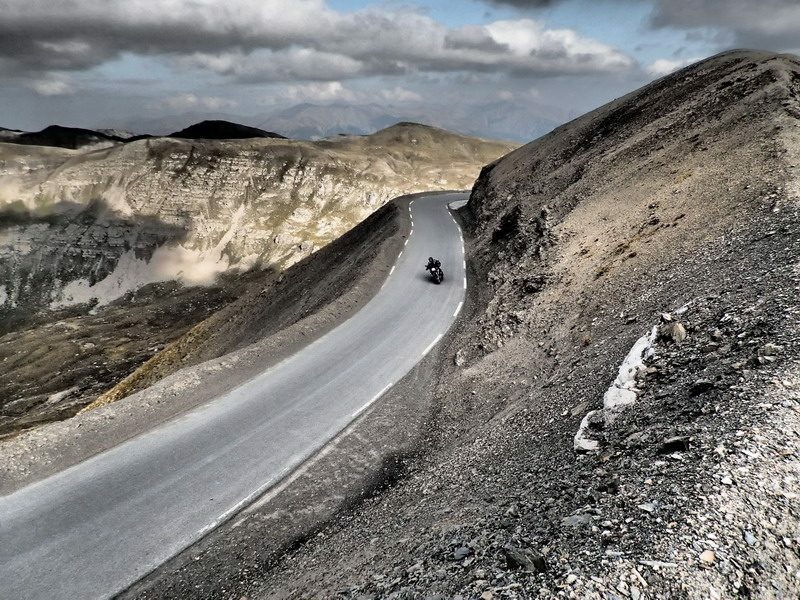 You must control the motorcycle safely and quickly in every situation. 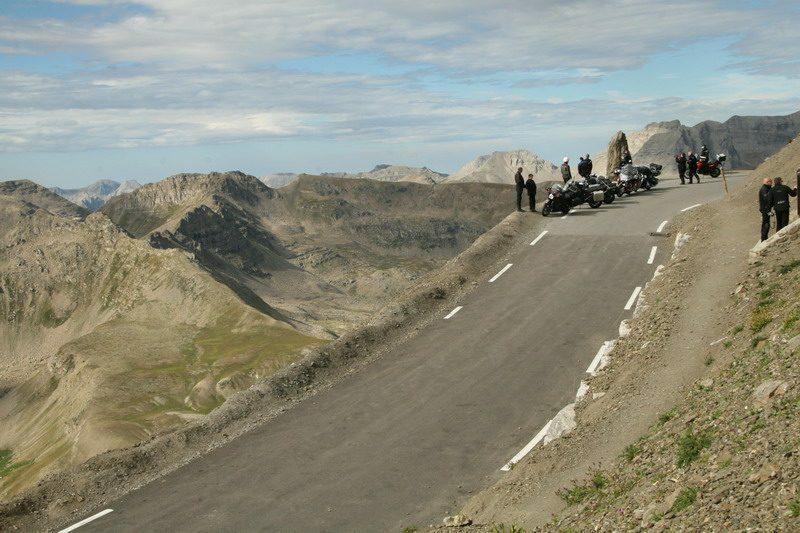 A sufficient physical as well as mental condition for 270-500 km of challenging motorcycling is required. No beginner’s tour! This tour is designed to achieve a maximum of fun while simultaneously collecting as many height meters as possible. For this reason we have developed a route map, the so-called roadbook. With this instruction manual packed in a roadbook holder on the handlebar – the card compartment in the tankbag might work for you as well – you navigate to the daily destination. This mode of movement offers the driver the greatest possible freedom in the choice of driving speed and driving rhythm. When and where breaks are inserted, or how to organize the day is left to the drivers. Only in time for dinner we would gladly have all together. 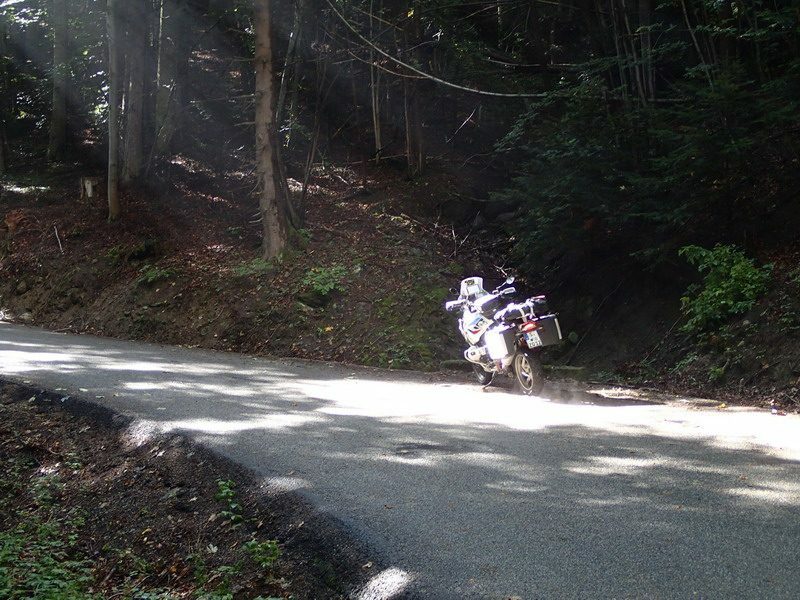 And another thing: the navigation according to the Roadbook is anything but complicated and means huge fun! In addition, optional GPS tracks are provided. On request, we rent roadbook holders for the duration of the tour. It does not always have to be Enduro with knobby tires! 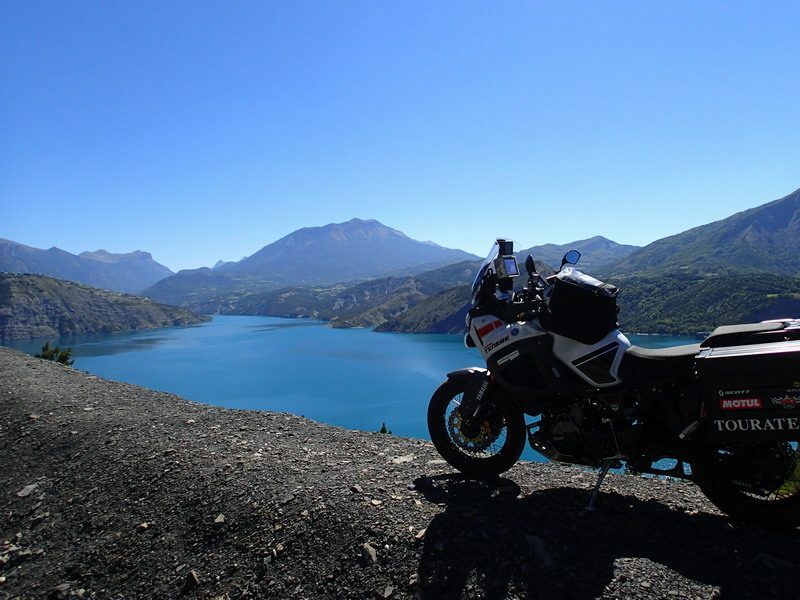 We recommend a any kind of touring bike, depending on what you prefer. 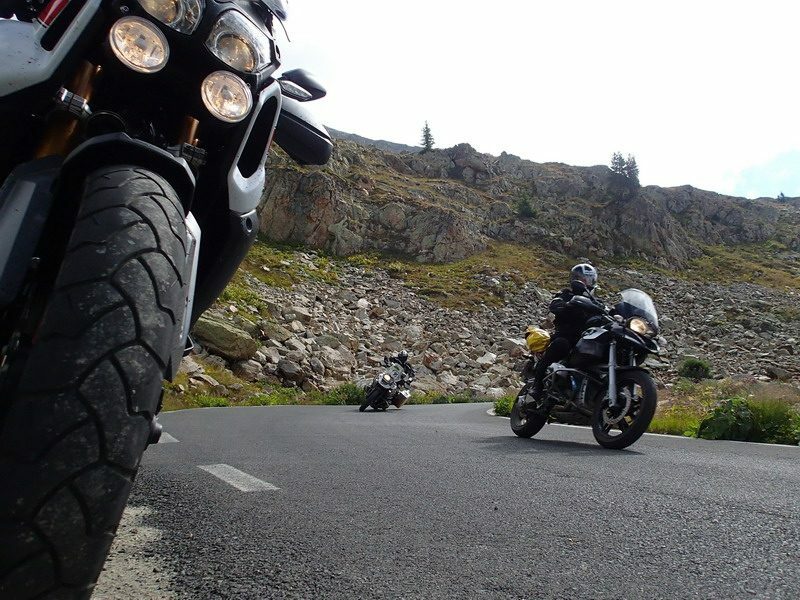 More important than the seating is the condition of your motorbike: new tires and enough brake pads are a must. 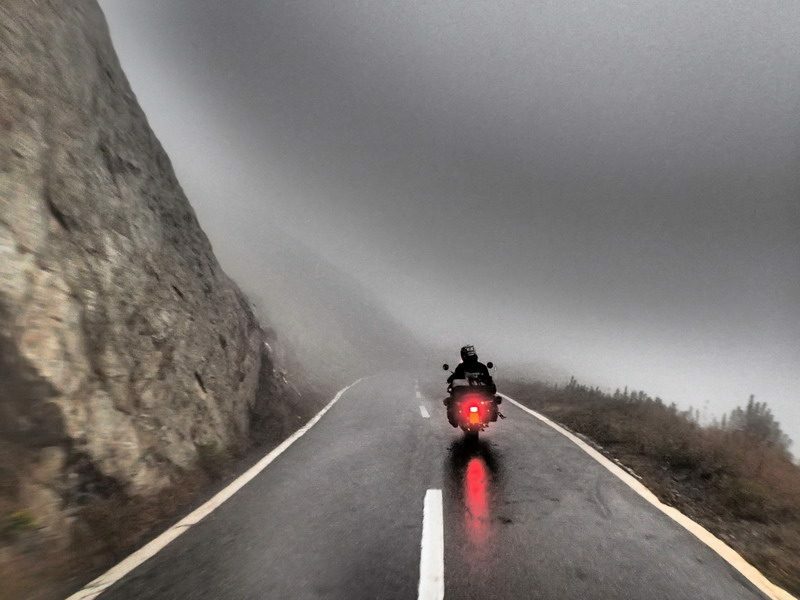 Motorcycle protective clothing goes without saying, as does the rainwear. 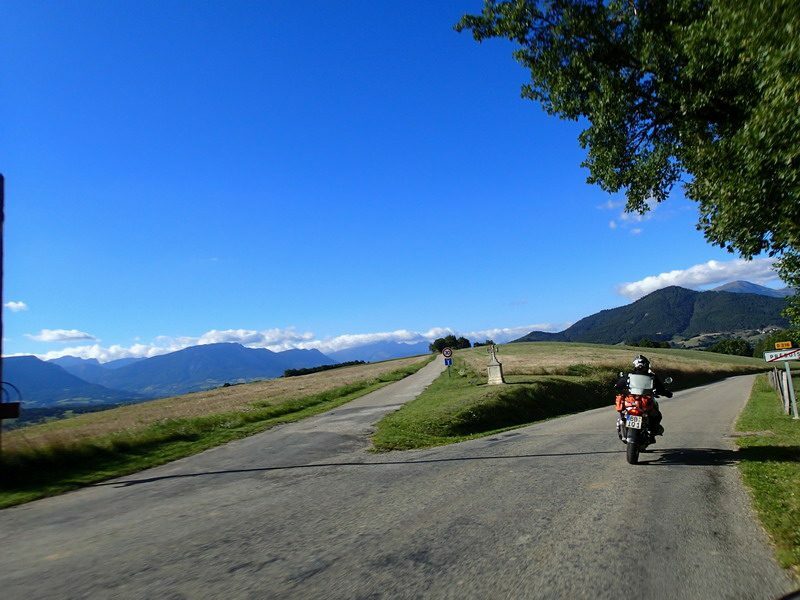 A motorcycle accident and breakdown cover is strongly recommended. The personal baggage must be transported on the motorcycle: luggage roll or suitcase. We stay exclusively in hotels. The accomodations we have chosen correspond to the style of the region and maintain a good standard – usually even with Wi-Fi. 6 overnight stays, half-board, roadbooks, tour guide, technical support, travel security note. Transport services, motorcycle transport, roadbook holder.